Taggle the panda bear has been created for the 2018 Plush collection by Charlie Bear. 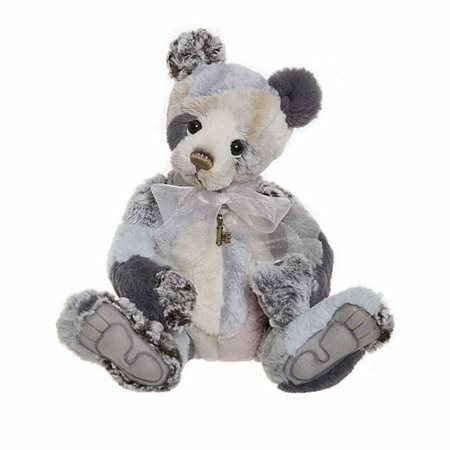 This adorbale little panda has soft grey fur with hints of pink and tan. He is 5 way jointed and comes with his own bow, necklace and key making him a wonderful addition to your collection.